Mawdsleys is a Bristol-based firm specialising in the repair, rewind, refurbishment and supply of electric motors, generators and pumps. As well as our state-of-the-art workshops, we also have fantastic mobile facilities, making us the company of choice for onsite repair and installation. But tools are only as good as the people who operate them, and that’s where Mawdsleys really stands out – our professional, fully-qualified and highly-skilled team is our greatest strength. Thanks to them, we have a reputation for providing reliable and high-quality service. 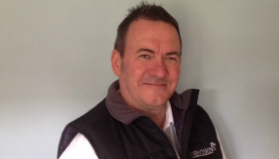 Pete started at Mawdsleys as an electrical and mechanical engineering apprentice. After completing his apprenticeship, he went on to work in every department, before becoming the workshop manager of the Dursley operation. Pete’s incredible knowledge and experience in the field make his problem-solving skills second-to-none, and he works closely with the clients to reach the best possible solutions. Gary spent many years as an engineer with Flowserve and its heritage brand companies handling customers in Oil & Gas, Power, Water and General Industry. He then went on to manage the Aftermarket Parts business for the UK facility. Gary is now the Sales Manager for the key accounts at Mawdsleys with a special focus on naval business throughout the UK and Europe, Gary’s experience and customer contacts are a huge plus for Mawdsleys Ltd and the growth of the business. Alan worked for Eriks in Bath for over 35 years, he started his career as an Apprentice Armature Winder in the 80’s, completing. After a four-year apprenticeship covering various rewinds, repairs and manufacture of AC motors, alternator stators and DC armatures and field frames. Following the closure of Erik’s in Bath, Alan joined Mawdsleys and now plays a vital role in the in-house winding and motor repair workshops. Paul has worked for a number of multinational organisations including Kone, where he managed international multi-site contracts. Paul has extensive experience of delivering large and complex contracts on time and on budget, and builds great relationships with his clients. With a client list that ranges from Ministry of Defence, Naval, Railway, Ports and Docks, Global Telecommunications Companies, Facilities Management Companies to Small Family Businesses. Mawdsleys have to ensure an extremely high standard of Precision Engineering working to exact tolerances were we ensure every component is fully traceable. We are used to working to fixed deadlines and pride ourselves on hitting those targets and are proud of our impeccable Health and Safety Record. We are ISO9001 2015 Accredited, CHAS Accredited, Safe Contractor Accredited, BAE Systems Accredited, to name but a few and have some great testimonials and would be proud to show them to you. Mawdsleys history is built on a sound understanding of the industry, a commitment to adapt and expand, and constant reinvestment. Formally Bristol Electrical Repairs, founded in 1959 specialised in rewinding and repairing AC and DC Motors, transformers and special equipment up to 500hp. With an increase in contracts from heavy industry (including milling and quarrying), Bristol Electrical Repair found themselves short of space and in 1961 they relocated to Barton Manor. In 1999, Bristol Electrical Repair was approached by Messrs Mawdsleys, and negotiations were started. Meessrs Mawdsleys purchased the trade customer list, the machinery tools and stock, under the company name of Mawdsleys. The takeover was completed in February 2000. We have been established as Mawdsleys BER Ltd. since February 2004, providing electrical, mechanical and electronic engineering services which cover repair, maintenance and supply. Our future direction can be summed up in four words: “Invest in the future”. It is vitally important to us to be equipped for the next generation. We need to develop and encourage potential talent as well as ensuring that we have the staff and skills to continue providing an excellent service for our customers. Over the last two years we have invested heavily in our premises, overhauling the original workshop and leasing a new premises that now operates as a machine shop all on the same site. Our philosophy is to reinvest to ensure we remain at the forefront of our industry. We want to be able to continue giving our customers the best service and products, and ensure that our already well-established reputation for reliability goes from strength to strength.